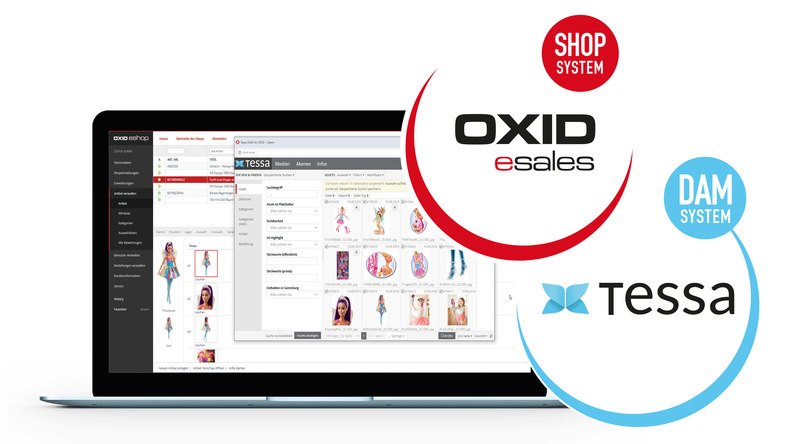 OXID eXchange | TESSA Connect for OXID eSales 1.0.0 | Release Candidate | CE | 6.1.x | Module, Themes, Language Packs direkt herunterladen! The TESSA Connector for OXID eSales from EIKONA Media GmbH connects the media and image database [Digital Asset Management] TESSA with the OXID eSales platform. Benefit from all the advantages of a media database with OXID! 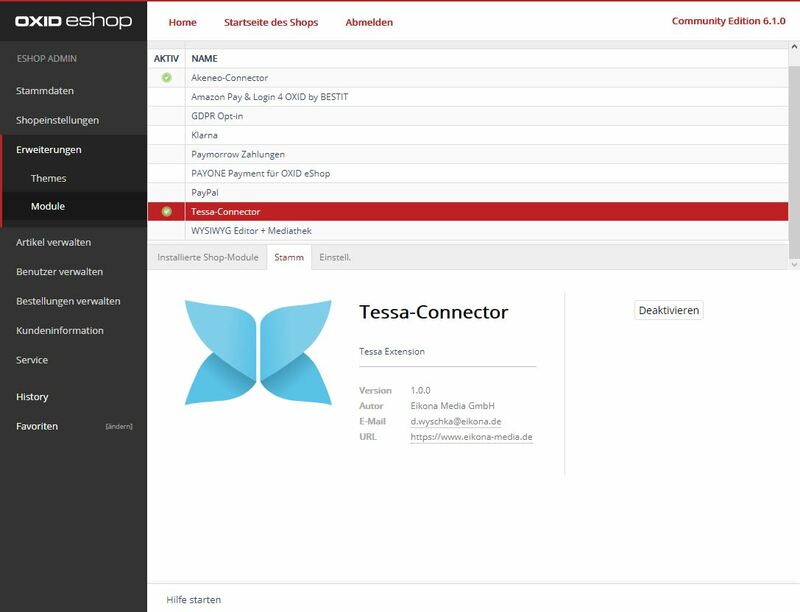 The TESSA Connector for OXID eSales from EIKONA Media GmbH connects the media and image database Bilddatenbank (Digital Asset Management) TESSA with the OXID eSales Plattform. As soon as this connector is in use, all images, media and documents stored in TESSA-DAM can be accessed directly from OXID. This means that any files can be stored for a product with just a few clicks. Manual uploading and optimization of this data for the online shop is no longer necessary. In addition to images of products, other files for a product can also be managed. These can be e.g. manuals, data sheets, eBooks or installation files. As an agency for digital marketing we realize data management solutions, Content and e-commerce solutions. As a strategic partner to our clients, we analyse business processes and develop communication tools and e-business solutions for efficient internal processes, high-quality B2B service and cross-channel success with end consumers. We combine specialized systems from the areas of e-commerce, product data management and digital asset management to create a fully integrated overall solution. This enables us to react flexibly to all market requirements together with you.